Everybody knows one - or maybe you are one! 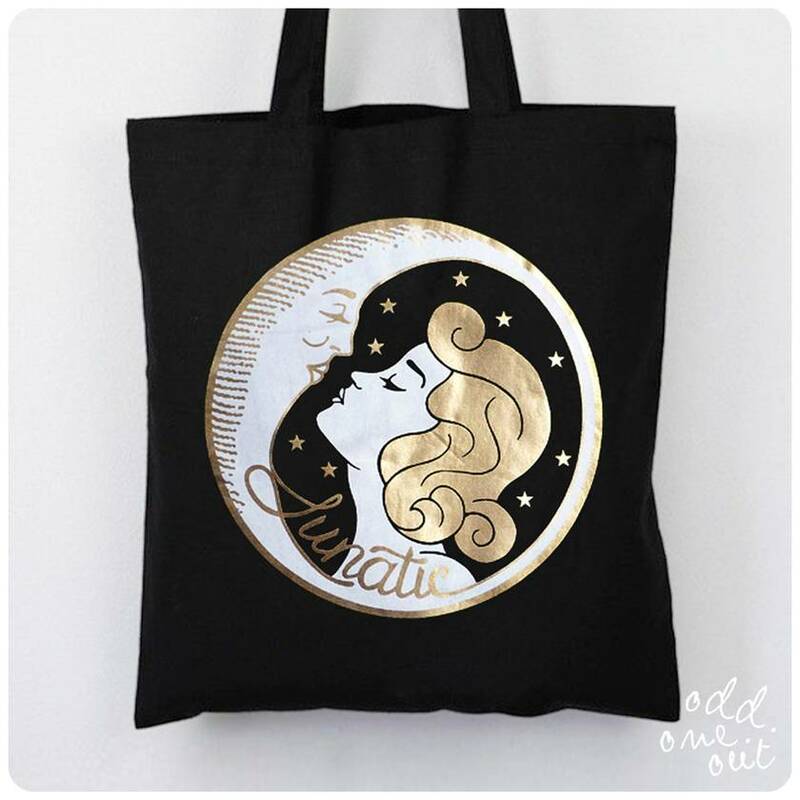 My Lunatic tote is perfect for those who are in tune with the moon! 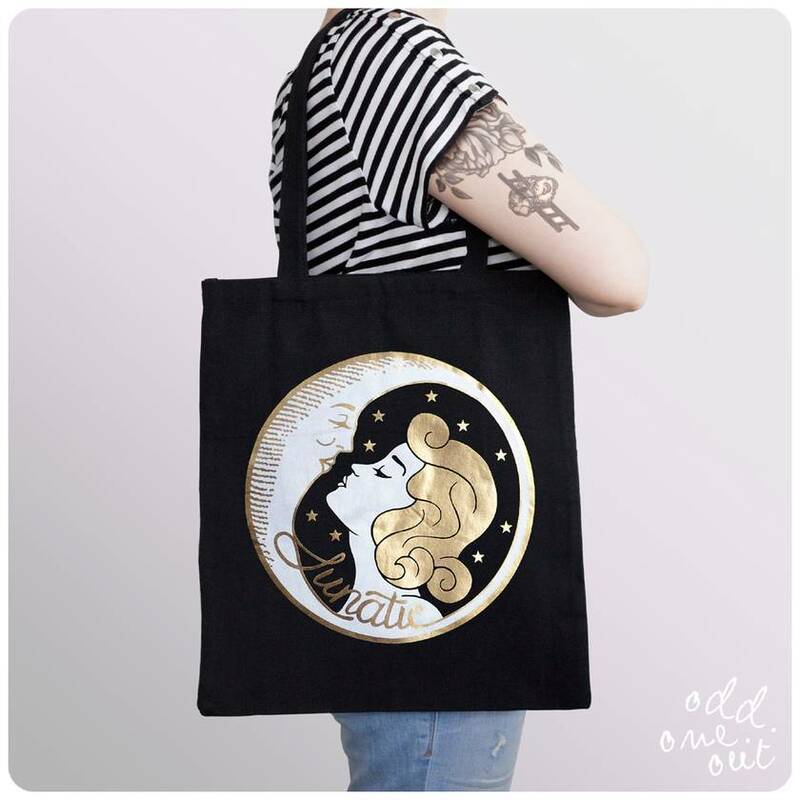 This lightweight cotton tote has long handles and is perfect for wearing over the shoulder. It would make a great shopping bag or a perfect gift for the Lunatic in your life. The design is from an original illustration by Odd One Out. All artwork and descriptions remain the property of Odd One Out and are subject to copyright protection laws © 2009-2018. All rights reserved and may not be duplicated without permission. Contact oddoneout to enquire about payment or shipping options.